Kevin Barnes, lead vocalist/ songwriter for of Montreal. 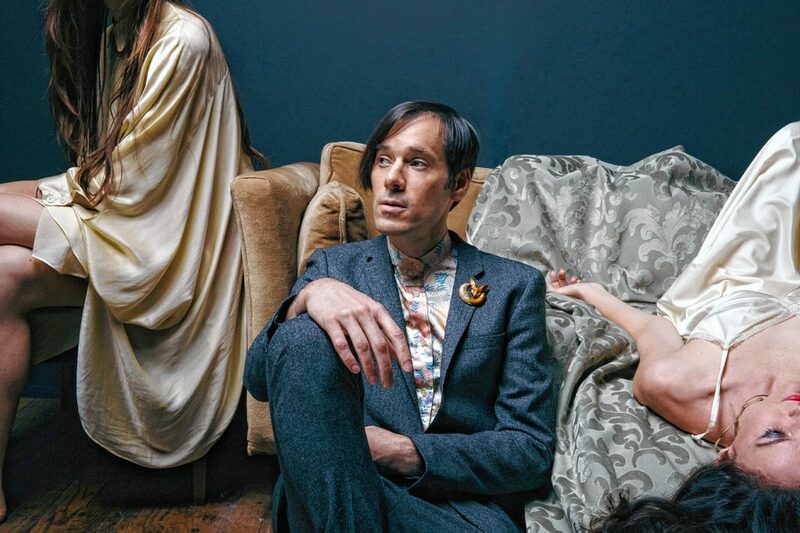 Of Montreal will be performing at Pearl Street on Saturday, April 13. Kevin Barnes performs with of Montreal at a venue in Swedend on November 3, 2005. The band has released more than a dozen studio albums since its debut in 1997. For more than two decades Of Montreal frontman, songwriter, and singer Kevin Barnes, based in Athens, Georgia, has been a musical chameleon; starting out with psychedelic indie pop before moving on to a wide range of other genres such as synth-driven electronic pop music, funk rock, R&B, avant-garde experimental sound collages, indie folk, and dance pop. 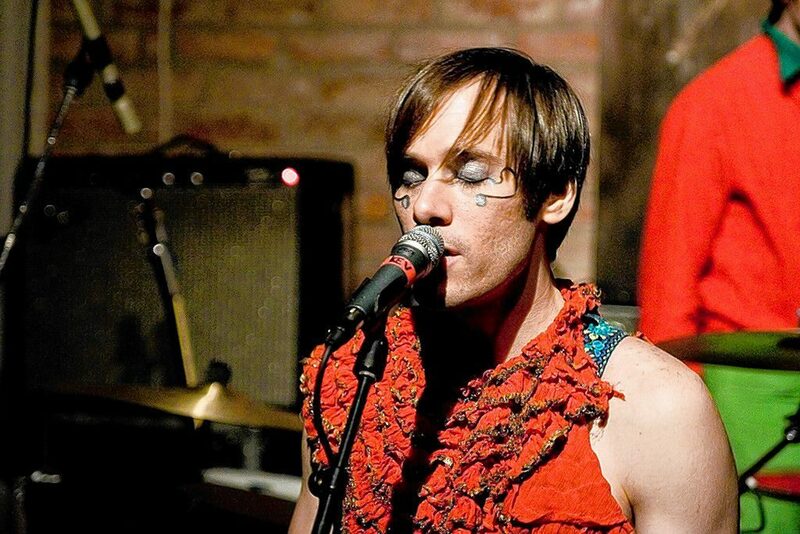 With nearly two dozen releases and 15 studio albums since the group’s 1997 debut, Cherry Peel, Of Montreal has consistently released almost an album per year with Barnes’ prolific songwriting taking center stage with a penchant for surrealistic musings, alternate personas, and eschewing gender stereotypes. Of Montreal returns to Pearl Street in Northampton on Saturday, April 13. But ahead of the band’s performance, Barnes spoke during a recent phone interview about his new record, White is Relic/ Irrealis Mood, catching a past Northampton Pride parade, and reflecting on his early work in the late 1990s when Of Montreal was part of the Elephant 6 Recording Company, which also included a number of other famous bands such as Neutral Milk Hotel and The Olivia Tremor Control. Chris Goudreau: I read that your new record was influenced by a lot of different things going on in your life. One being your paranoia about living in a simulated reality, finding new love, and 1980s dance pop. How did these elements come together to influence this new record? Kevin Barnes: It’s hard to say what the jumping off point. They all had [to be] in my brain at the same time. I can’t necessarily say what they have in common. Chris: What kind of feelings do these things evoke for you, maybe translated into the music itself? Kevin: Basically I think we’re all sort of reeling from the election in the year 2016 and slowly finding our footing again. When I made that record; I started it a few years ago and it was the beginning of this new era that we’re in. I think that Trump definitely dismantled reality for a lot of people. Chris: One thing that really amazes me about you as a songwriter is how prolific you are. 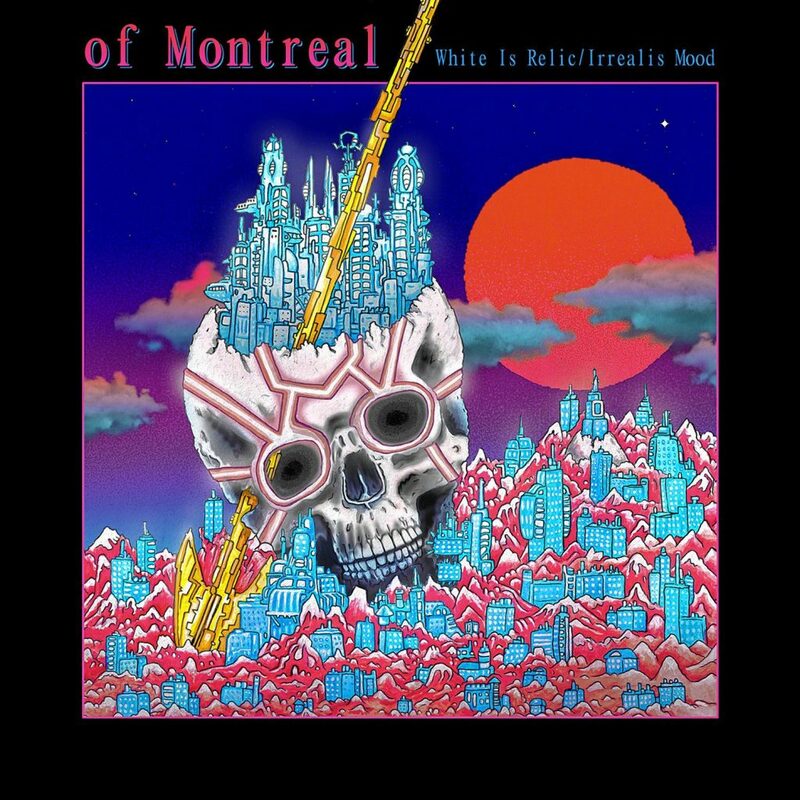 It seems like every album that Of Montreal releases is almost a reinvention of what has come before. What genre of music would you like to explore in the future? Kevin: There’s always little nuances in certain time periods of music that I know about but haven’t really gotten into. I’ve always been into 1960s psychedelic music, but I’m always uncovering a new lost record [by] Annette Peacock for example … There’s so many things left to uncover and be influenced by. With my new record, I’m about halfway into it now, and the inspiration has been more early 1980s ABBA and Cyndi Lauper — things that I haven’t really been influenced by in the past. Chris: Could you tell me more about your next album that you’re working on now? Kevin: If I was going to compare it to a previous record, maybe it’s more in the ballpark of The Sunlandic Twins. It’s like semi-conventional pop templates. I’m not making eight minute songs. It’s mostly three-and-a-half, four-minute pop songs that are really hooky and really melodic. I sort of got back into wanting to make something that is sort of in line with Cyndi Lauper and ABBA and something that’s really poppy with interesting lyrics and a lot of heart and optimism. Chris: What do you think about Of Montreal records like Cherry Peel or The Gay Parade now 20 years later? Kevin: It’s interesting because in a lot of ways it’s like looking at a scrap book of photographs from my youth. I never play those songs. It’s mostly because the spirit is different. I was sort of in this suspended childhood state of mind when I was making those records. There’s sort of a magical realism in there, but it’s kind of a little too sugary for me now. Chris: I’ve seen Kishi Bashi several times over the years. I know he started early in his career playing with Of Montreal. What do you think of his success now as a musical collaborator? Kevin: I think it’s really exciting. It’s funny because he’s my neighbor. He lives four houses down from me and our daughters are really close friends. So, he kind of feels like a family member to me. Chris: I was curious, do you still keep in touch with members of the Elephant 6 Collective? Kevin: Some of them I do, yeah. I was at a concert the other night, a Molly Nelson concert, and Andrew Reiger was there and the late B. P. Helium, Bryan Poole, was there and we had a good chat. There’s some people from that scene that I talk to — Robert Schneider [of The Apples in Stereo] and I are good friends and meet up a bunch. Chris: I know you’ve performed in Northampton a number of times over the years. When you’re here, do you have any favorite places you like to visit? Kevin: I think it’s really special. I have a really great memory of being there during Pride festival, so I got to see the Pride parade and be part of that. It was really inspiring to see. I love the energy in the city. Massachusetts is funny in that it has a reputation for the whole ‘Masshole’ thing and a reputation for being tougher and hard edged, but then there’s also really sweet and pure and brilliant people as well.